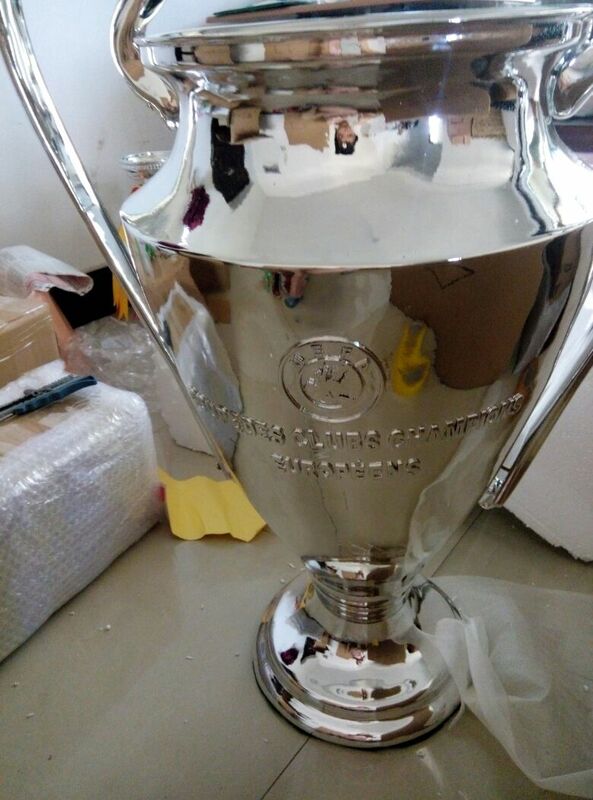 The replacement trophy, with a somewhat different design from the original at a cost of 10,000 Swiss francs, it was silver, 43 cm high, weighing 6 kg. 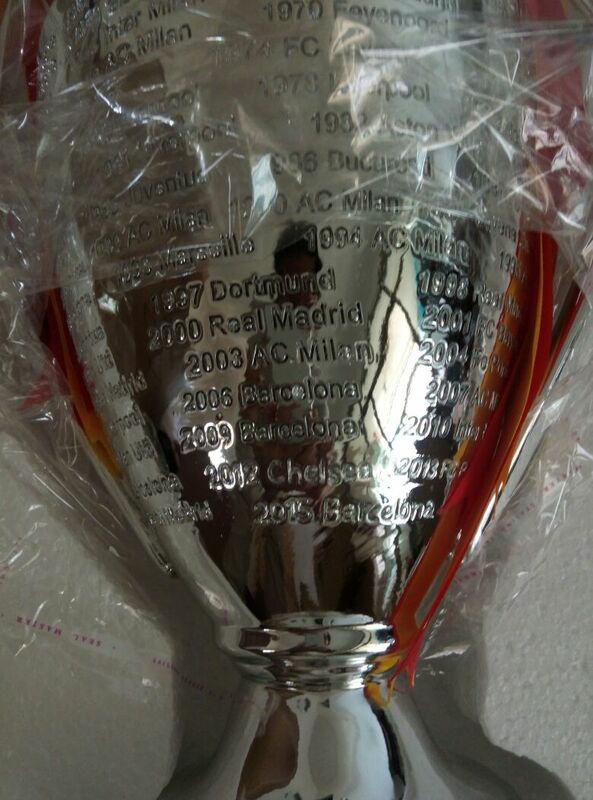 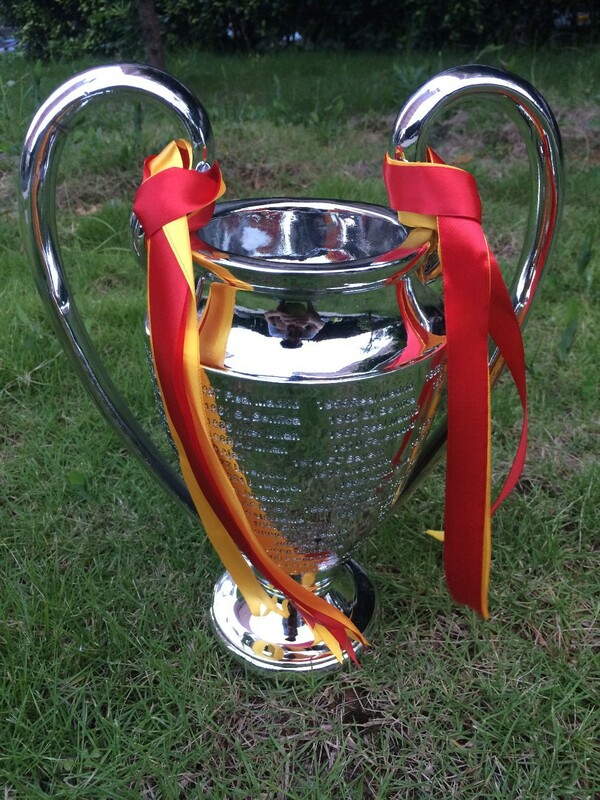 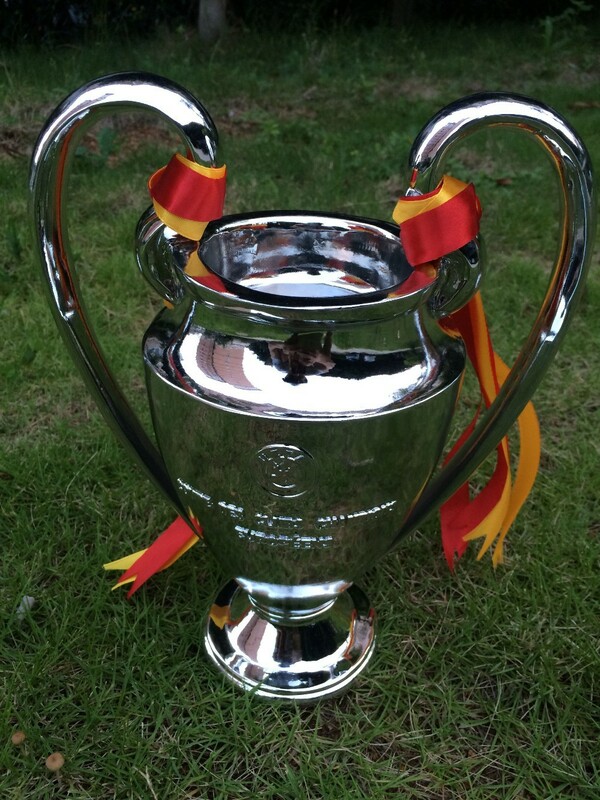 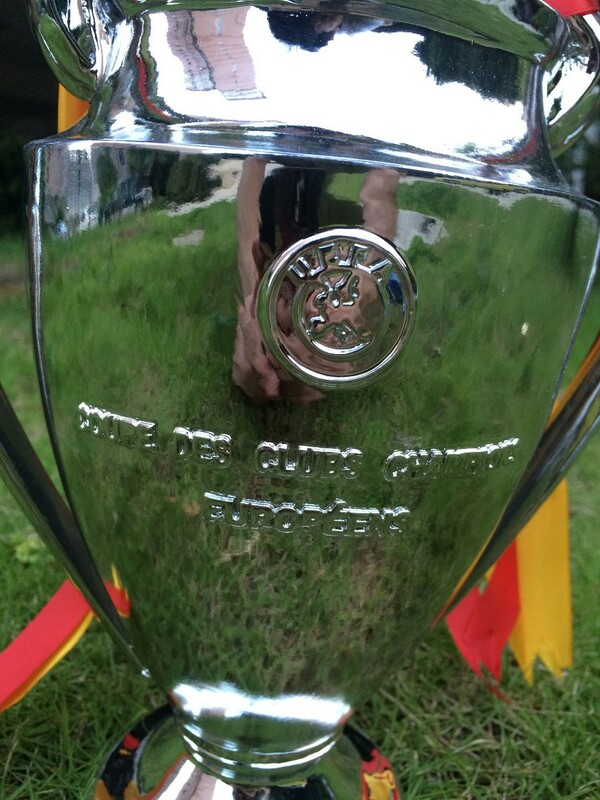 The trophy bears the title "COUPE DES CLUBS CHAMPIONS EUROP??ENS'". 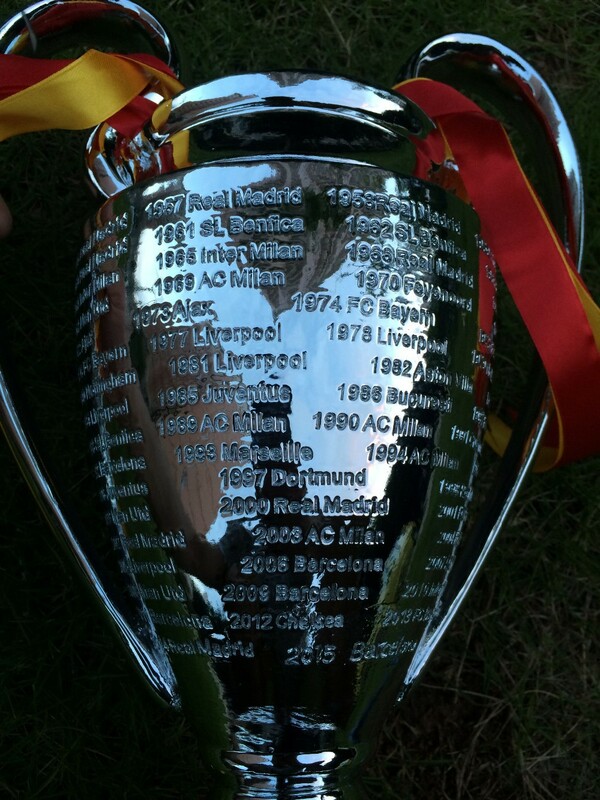 Subsequent replacement trophies have replicated this design. 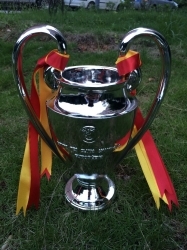 The shape of the handles have earned it the nickname of "big ears" in multiple languages, including French ("la Coupe aux grandes oreilles") and Spanish ("La Orejona").